Choosing digital format books over physical books is a no-brainer. Modern ePaper technology makes reading in direct sunlight easier while also ensuring less damage to our eyes in normal lighting conditions. Immediate access to more books than you can ever read isn’t to be taken for granted either. Whether it be exclusive new releases, timeless classics or your favorite childhood stories, they’re probably available online right now, waiting to grace your screen. In this list we’ll look at the best devices you can pick up in 2018 for reading digital content. Regardless of which one you end up buying, you can rest assured that the low or often absent price of digital titles (not to mention the fuel you spend going to the book shop) means you’ll be saving a lot of money in the long run. The brand that started it all has come a long way since the plastic-clad rectangles of the noughties. Their newest model, called the Oasis, features an all-new jaw dropping design and a variety of new features. The pixel-dense 7” display makes any amount of text or even images look extremely crisp while the convenient side bezel features space for your hand to rest. A single hour of charging gets you about six weeks of battery life with moderate daily usage. The ambient light sensors automatically adjust the screen brightness to a suitable level and the IPX8 waterproof rating means it’ll survive a drop into the pool or bathtub without any fuss. 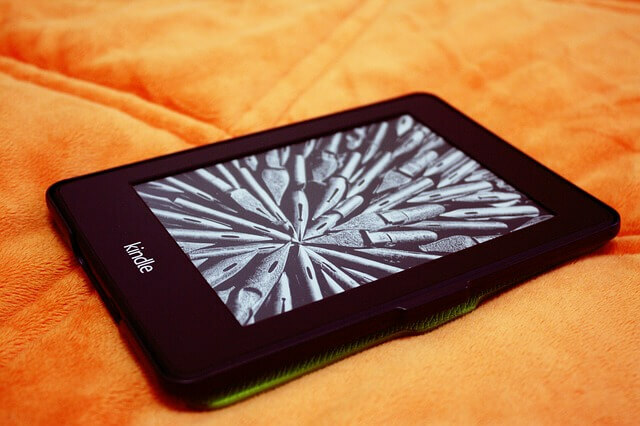 Just like the Oasis, the Aura features an HD, touch screen e-ink display. The difference here is that it’s .8 inches larger. A built-in night mode ensures that you aren’t exposed to circadian rhythm-damaging blue light. It’s also waterproof and offers 8GB of onboard storage. However, unlike the Oasis, the battery only lasts about a month. Which, to be fair, is still a long time. One area the Aura One reigns supreme is format support. While the Oasis only supports ePub, Kobo’s eReader allows you to pick up books in virtually any format, including PDF, MOBI, PNG, TXT, HTML and CBR, among others. While it’s technically not in the same category as the devices above, Apple’s smallest tablet is a great alternative with a ton of advantages over standard eReaders. For one, you can use it to do much, much more than reading books. The built in browser allows you to access websites such as Finddigitalmagazines.Co.Uk, where you can read full-fledged magazines. If you enjoy reading the news, you can do that too. Don’t forget that it’s also running iOS, which means it can do everything your iPhone can do, bar making phone calls. The best part is that these days iPad Mini’s can be picked up for even less than the two eReaders featured on this post. At the end of the day, each of these devices make for solid eReaders that will provide you with endless hours of reading bliss. Don’t forget that you’re doing your part for the environment in a whole lot of ways as well.